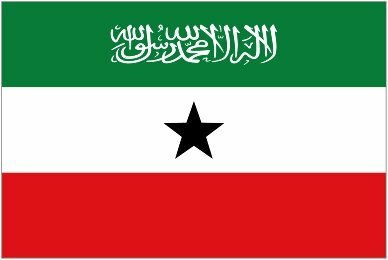 The evidence of the foreign investment in Somaliland and the essentiality of its ports to regional growth shows that it represents a state worthy of recognition. French company Bollore Africa Logistics announced Thursday [09/09/2010] it won a tender to develop the Port of Berbera in self-declared state of Somaliland to help land-locked Ethiopia ease its maritime and port services needs. Dominique Lafont, CEO of Bollore Africa Logistics, announced in Nairobi that the facility will help ease Ethiopia import and export needs through maritime transport system and open new income stream for the government of Somaliland. “We shall be setting the port up as the national port of Ethiopia,” said Lafont. The port will be run under concession basis, which marks the company’s entry into the infrastructure concessions in East Africa. The company already manages the ports of Ghana, Ivory Coast, Nigeria, Benin, Togo, Cameroon and the Republic of Congo. It also manages the rail lines of Cote d’Ivoire, Burkina Faso and Cameroon. “We are keen to work along the development of transport systems within the East Africa Common Market,” said Lafont. The company has a strong presence in East Africa and around 40 African countries through its logistics arm SVD Tansami. Ethiopia had two ports in Massawa and Assab in its former province, Eritrea but lost them when the province broke away to form an independent nation in 1993. While it continued to use the same ports, which changed after the two countries went to war in 1998 when Ethiopia started using the port of Djibouti port that is 910 km east of Addis Ababa. Meanwhile, the company through is local SDV Transami subsidiary has that its dry port facility in the Port of Mombasa will be completed next month. The 10 million U.S. dollars facility built on a 10 hectare of land will help to decongest the Port of Mombasa that has been losing business to the Port of Dar es Salaam because of inefficiency. “The intention is to have the new terminal as a holding ground that will ease congestion at the Port of Mombasa,” said SDV Transami’s regional managing director Mr Tony Stenning. Since 2000, container traffic at the port has grown by eight per cent annually, according to the Kenya Ports Authority (KPA).